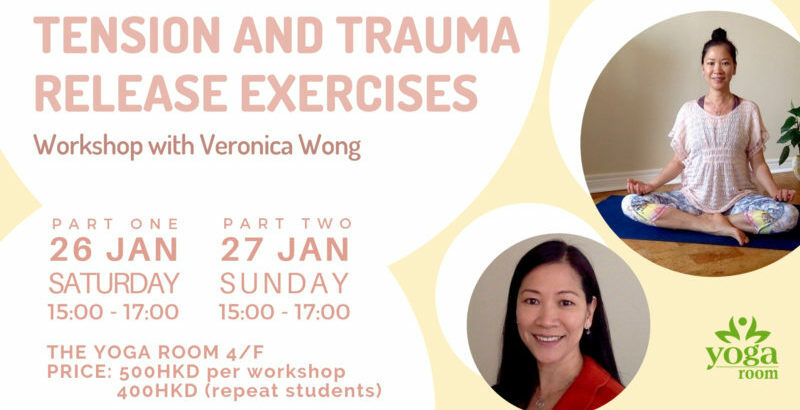 Tension and Trauma Release Exercises provide a simple yet powerful and effective way to assist the body in releasing deep muscular patterns of stress, tension and trauma. TRE® is designed to be a self-help tool that once learned can be used as needed throughout one’s life, thereby continuously supporting and promoting personal health and wholeness. TRE® was created by Dr. David Berceli, PhD. TRE® is a self-empowering technique that safely activates the body’s natural tremoring or mechanism (involuntarily tremors). Once activated, these neurogenic tremors help to release stored and built up stress, unresolved tension and trauma from the body & muscles and tissue, calming down the nervous system and thus restoring the body back to natural balance. * Limited space available per workshop. This workshop will empower you to take control of your own health. You will learn the exercises to activate your innate tremor mechanism so that you have a lifelong self-help tool for your own practice with an emphasis on how to use the tremor mechanism in a safe and comfortable way to release day-to-day stress, old tension patterns and restore resiliency. At the same time, you will learn self-regulation to modulate your experience of the therapeutic tremors for maximum benefit. After suffering from multiple chemical sensitivity for over 3 years and a car accident injury for 15 years, Veronica turned to numerous alternative modalities to regain control over her health. While her physical health improved significantly, it was when she discovered and started doing TRE® that the remaining emotional stress in her body was finally released. What makes TRE® such a powerful modality is that it allows stress and tension that has accumulated in our muscles and connective tissue to be released. Stress that is held in the body for any reason – whether it be day-to-day life stress, ongoing chronic challenges, or sudden traumatic events from the past can be released through the tremor mechanism even years later. Veronica is particularly interested in sharing this highly effective technique for reducing stress and bringing the nervous system back into balance. In addition to being a TRE® Provider, Veronica is a certified Face & Body Yoga teacher and also a certified FasterEFT practitioner. Please note: TRE® is not recommended for pregnant women. Booking can also be made directly through the office.